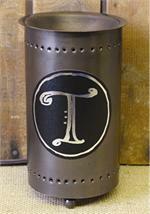 Barn Warmer, 7.25 inches tall, 4.25 inches in diameter, standard 30 watt bulb. 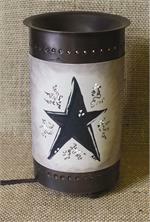 Black Star Warmer, 7.25 inches tall, 4.25 inches in diameter, standard 30 watt bulb. 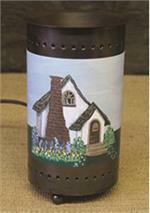 Cottage Warmer, 7.25 inches tall, 4.25 inches in diameter, standard 30 watt bulb. 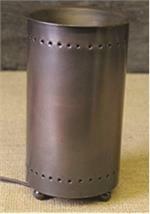 Cow Warmer, 7.25 inches tall, 4.25 inches in diameter, standard 30 watt bulb. Crumble Warmer- Candy Cane Wishes Design, 7.25 inches tall, 4.25 inches in diameter, standard 30 watt bulb. 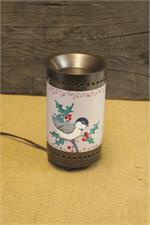 Crumble Warmer- Chickadee Design, 7.25 inches tall, 4.25 inches in diameter, standard 30 watt bulb. Crumble Warmer- Oak Leaves Design, 7.25 inches tall, 4.25 inches in diameter, standard 30 watt bulb. Crumble Warmer- Reindeer Design, 7.25 inches tall, 4.25 inches in diameter, standard 30 watt bulb. 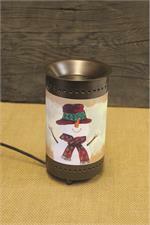 Crumble Warmer- Snowman Design, 7.25 inches tall, 4.25 inches in diameter, standard 30 watt bulb. Crumble Warmer- Wreath Design, 7.25 inches tall, 4.25 inches in diameter, standard 30 watt bulb. Hen, 7.25 inches tall, 4.25 inches in diameter, standard 30 watt bulb. 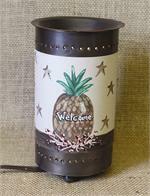 Pineapple Warmer, 7.25 inches tall, 4.25 inches in diameter, standard 30 watt bulb. 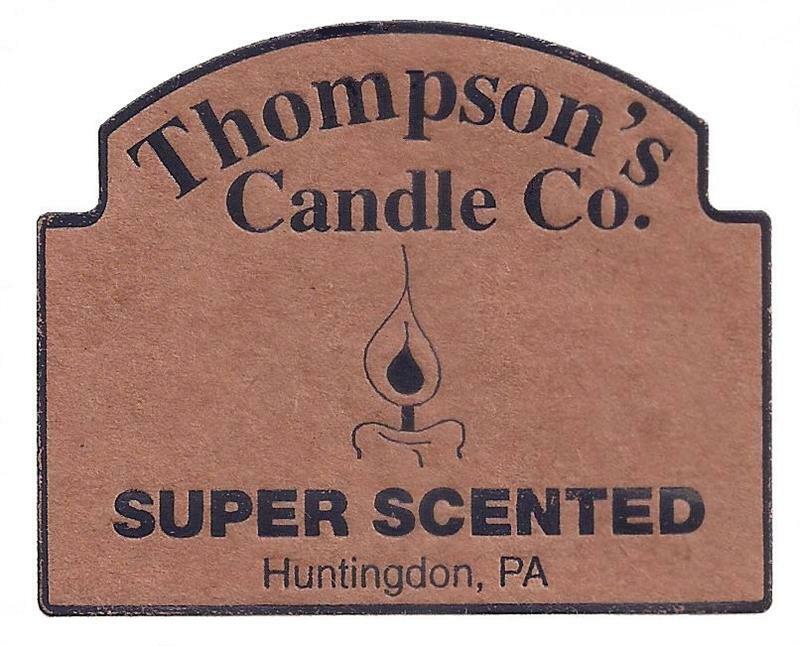 Plain Warmer, 7.25 inches tall, 4.25 inches in diameter, standard 30 watt bulb. 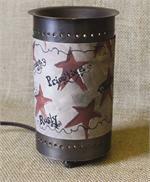 Primitive Star Warmer, 7.25 inches tall, 4.25 inches in diameter, standard 30 watt bulb. 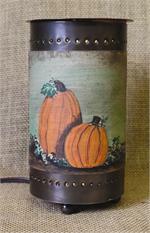 Pumpkins Warmer, 7.25 inches tall, 4.25 inches in diameter, standard 30 watt bulb. 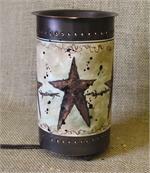 Rusty Star Warmer, 7.25 inches tall, 4.25 inches in diameter, standard 25 watt bulb. 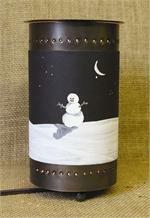 Snowman in Moonlight, 7.25 inches tall, 4.25 inches in diameter, standard 25 watt bulb. 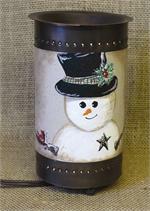 Snowman in Top Hat, 7.25 inches tall, 4.25 inches in diameter, standard 25 watt bulb.